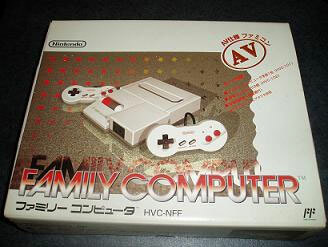 The start of Japanese dominance of the console market and the height of retro chic with its sleek restyling from the original cutting down the size and importantly for importers, allowing it to be hooked up to a modern TV. Tear jerking nostalgic gaming to recall years of old. Happy days. Second hand. 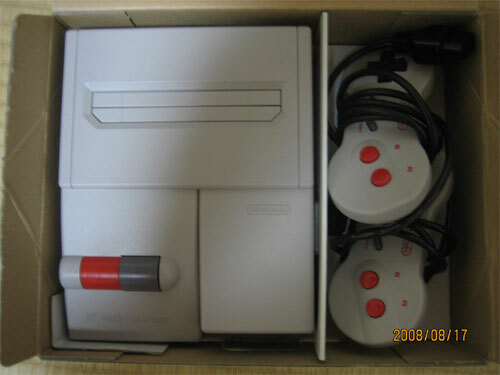 In line with Nintendo's post Famicom policy, this pack did not originally have any audio visual cable or power pack, in the thinking that ones from other Nintendo consoles can be used. We have therefore added a third party AV cable for use with the machine. Includes two pads, manual and bags. Also in line with Nintendo's policy, it doesn't include a power cable. However a power pack from most electrical retailers would suffice (please check the polarity.) Serial number of console: HN10780807. 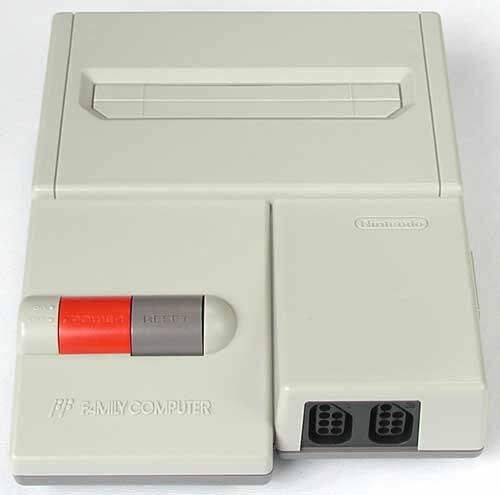 Console and pad in fine fettle with side port cover on the console present. Manual serial matches console, but the manual has a slight crease. Box just has a couple of slight impressions on the base.